Some things to know about New Zealand roads and driving . 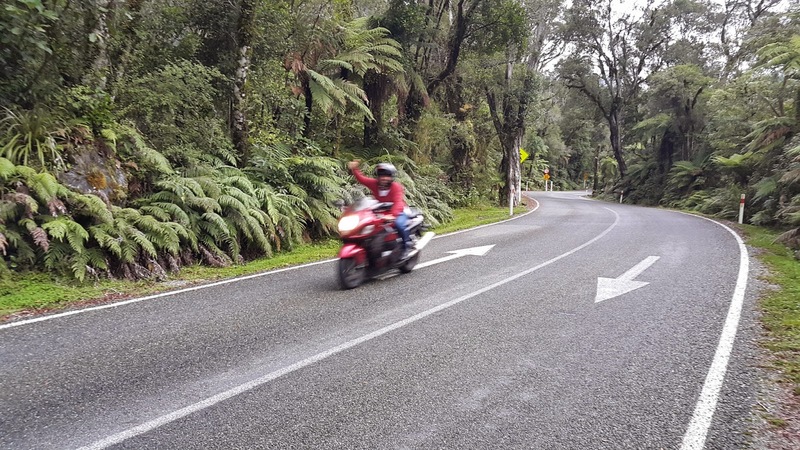 As a car and motorbike rider, here's my comments/rant below but first let me say that NZ is a lovely place to ride a motorbike as there are some lovely empty roads with few cars through some stunning scenery. Read more: Some things to know about New Zealand roads and driving . Why sell vehicles that can exceed 100 km/hr ? It seems to me that the Nanny State obsession with speed aversion is simply nuts when one considers the popularity of fast cars and bikes. This is evident in the fact that Top Gear, those unashamed speed freak evangelists, continue to raise the BBC programme rankings, thus indicating how popular fast cars and fast driving is with the general public. So where does this constant argument about "the public" being anti-speed come from? Or is it simply the bureaucrats, out of touch with those they "serve", who believe they are the only ones who can see these true inherent dangers of driving modern cars at speeds that are about 50% to 30% of their capability. Read more: Why sell vehicles that can exceed 100 km/hr ? I recently popped into a motorcycle shop to drool over bikes. Two "sales" men were sitting behind desks. There were no other customers. One looked up - barely - and asked "you good mate?" then carried on doing whatever he was paid to do which certainly wasn't to try sell me anything. Maybe the shop is doing fine without another sale or maybe I simply didn't look serious, who knows? They had failed to realise the value of the fact I had walked through their shop door led by my passion for bikes. I wasn't asking to be sold a bike, I was simply asking have my dream stoked. Getting me in the door was half (maybe more) their job done. I spent the 20 minutes drooling and neither of them got up. I had bought a bike for my wife a month earlier. I didn't intend to, but a real salesman took the time to harness my already evident passion and off I rode, living the dream. I have since returned to that same bike shop even though it is 2 hours away after visiting several others closer to home with dismal salespeople. When I walked in we carried on where we left off and he has already arranged demo models for me to test ride. Can I afford another bike? Not on your life! But I probably will own another one soon because someone is taking the time to stoke my passion and match it to a dream. [update, I have since bought a Hayabusa. Where my love of biking and scenery began – Cape Town, South Africa….. I have, for years and years, gazed longingly at the open roads of the grand old US of A; the breathtaking views of Canadian outdoors and the magical winding roads of Europe - all set against a backdrop of stunning snow capped peaks or lush green pines. They all have all beckoned me and wooed me for years and years and I want to go there and see them from a motorcycle and bombard my senses.